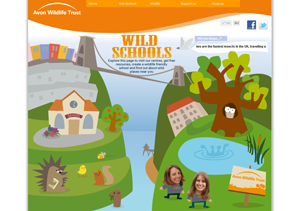 AWT Wild Schools blog: New Wild Schools website has gone live! We are so excited in the learning team here at Avon Wildlife Trust about our new website. It is packed full of resources, ideas and stories about our great schools here in Avon. Fancy exploring a wild place? Want to create a wildlife garden in school? Need to find out more about species that live near you? Our website can help you with all these things and much more. Let us know what else you would like to see or find out about on the website, tell us about your wildlife adventures at home and share all the great wildlife news from your school. Contact: juliedoherty@avonwildlifetrust.org.uk or add a comment to this post.